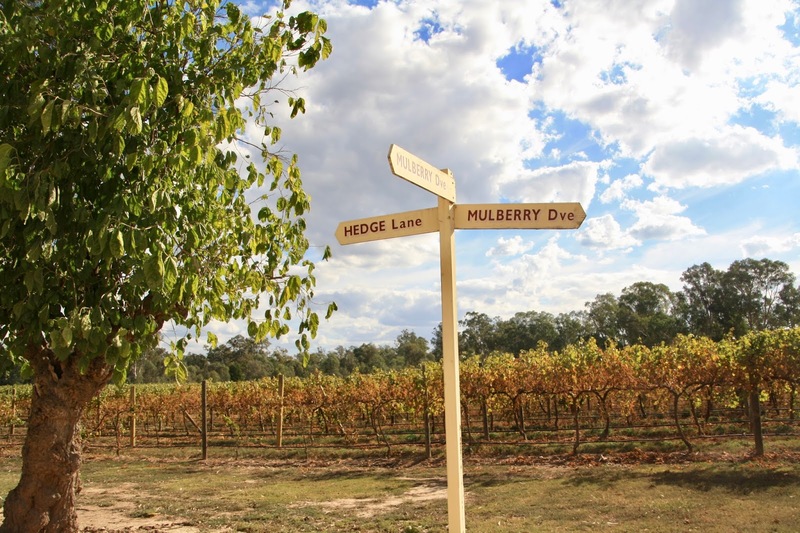 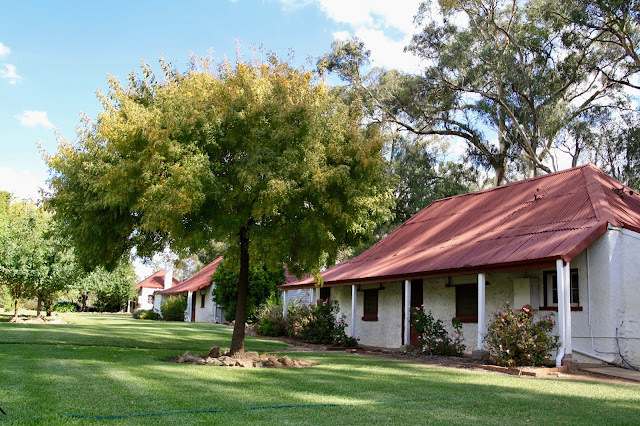 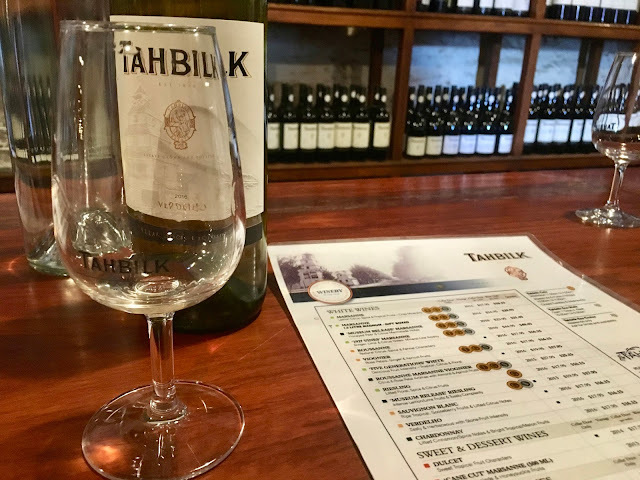 We began our visit to Tahbilk, by grabbing a map from the cellar door and taking ourselves off on a self-guided walk around the Eco Trails. 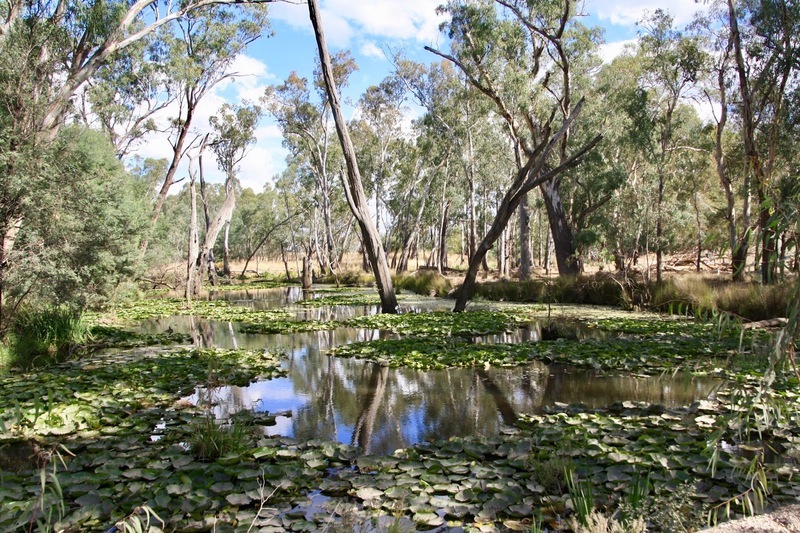 8km of backwater billabongs and creeks are home to a variety of flora and fauna. 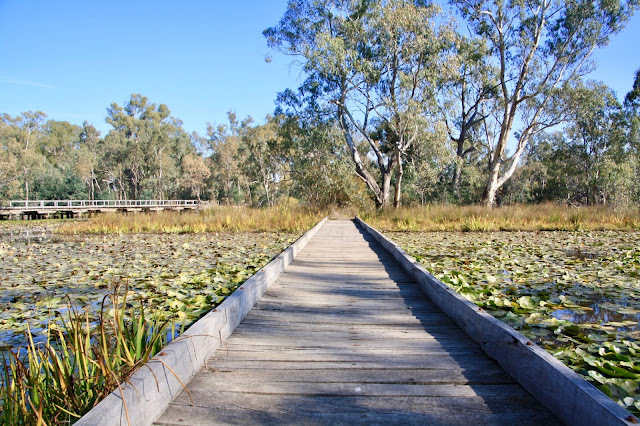 We walked the easy 4km trail of paths, bridges and boardwalks, before heading back to explore the buildings of the historic winery. 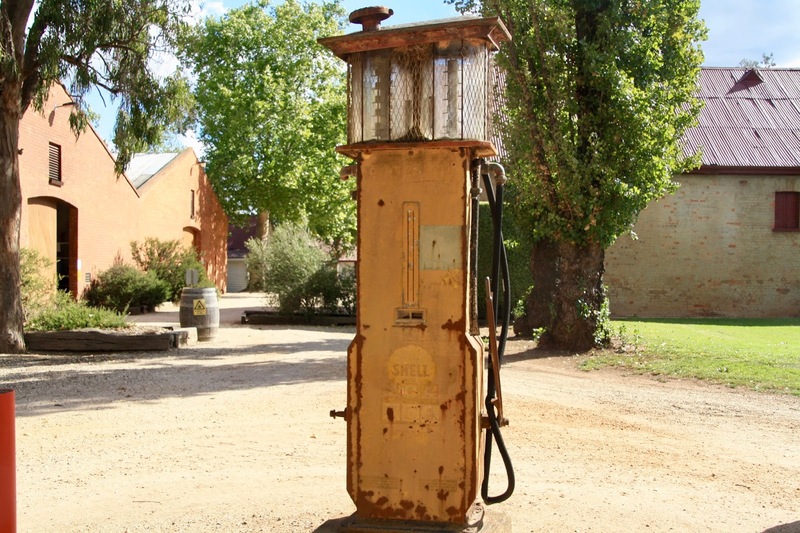 ...and an old petrol bowser took centre stage out the back of the modern winemaking facility. 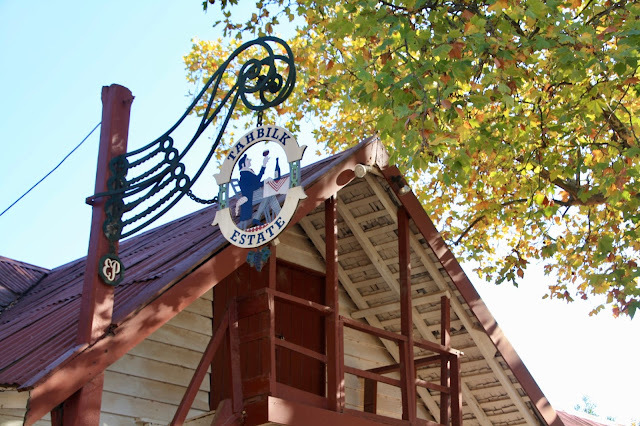 A collection of old farming and vineyard machinery sat in outdoor museums, which we wandered around at our leisure. The whole estate his a wonderful mix of old and new. 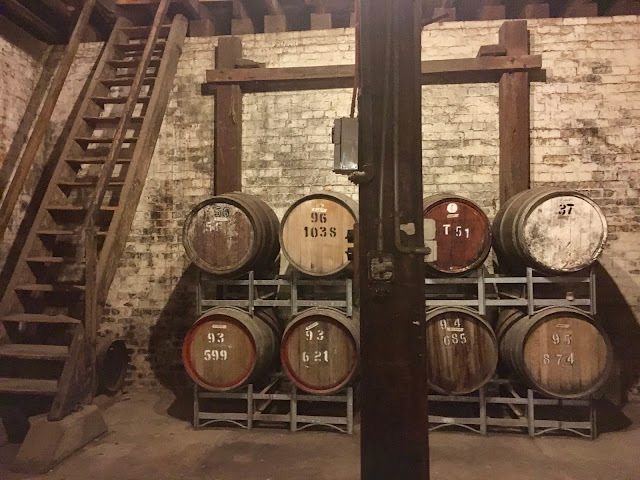 Inside the main Cellar Door, we headed down to the century and a half old underground cellar. 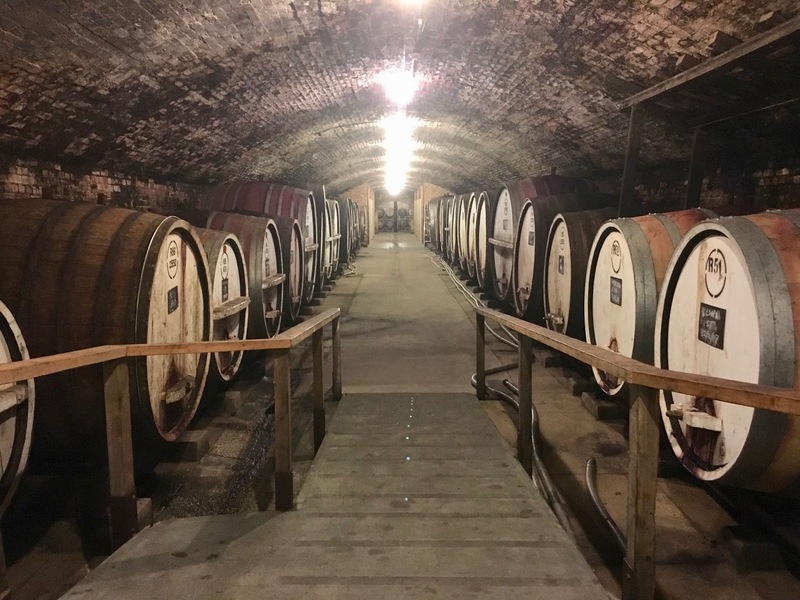 Creaky stairs, dimly lit tunnels and the sight of so many giant barrels of wine was an incredible experience. 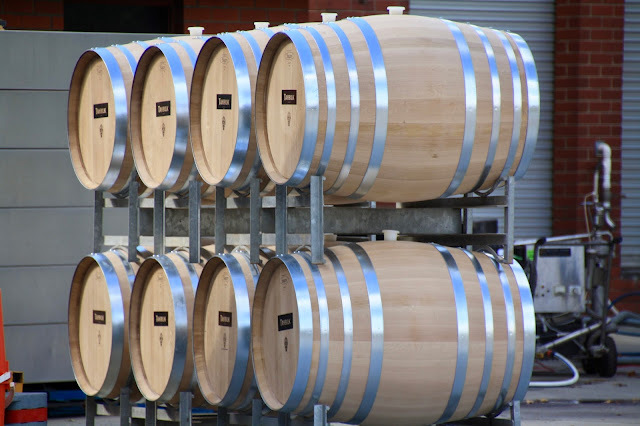 The aroma of the wine in the barrels was overpowering at first, but by the time we headed back up the stairs to the tasting bar, it had become more like a siren's song to a sailor. 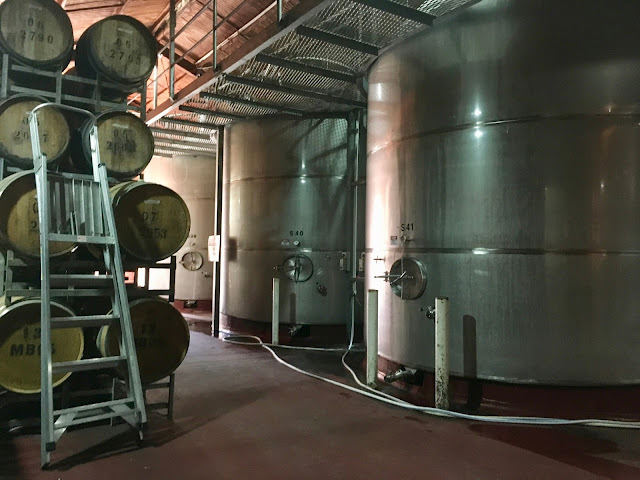 I sampled the 2016 Verdelho, Viognier and 2014 Cabernet Merlot, joined the Wine Club on the spot for a nice discount and purchased a bottle of each. We left the estate via a wrong turn scenic drive around the estate's roads, a nice way to see views of the vineyards and surrounds.